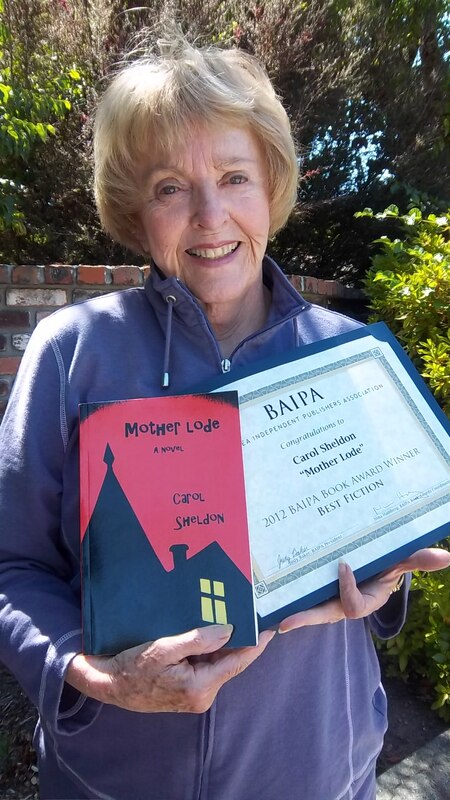 HAVING FUN ON OVERLOAD | Carol Sheldon writes books exploring times-past through mystery, love, betrayal and murder. Here’s a photo regarding the BAIPA award for Best Fiction that I talked about in my last email. I had a second reading/q&a at Book Passage this month, this time in San Francisco. Yea! The first BP reading was in Marin. There was a really sweet, attentive audience, and about half of them bought MOTHER LODE. (That’s a very good average.) My friend, Teresa Leyung Ryan interviewed me again. 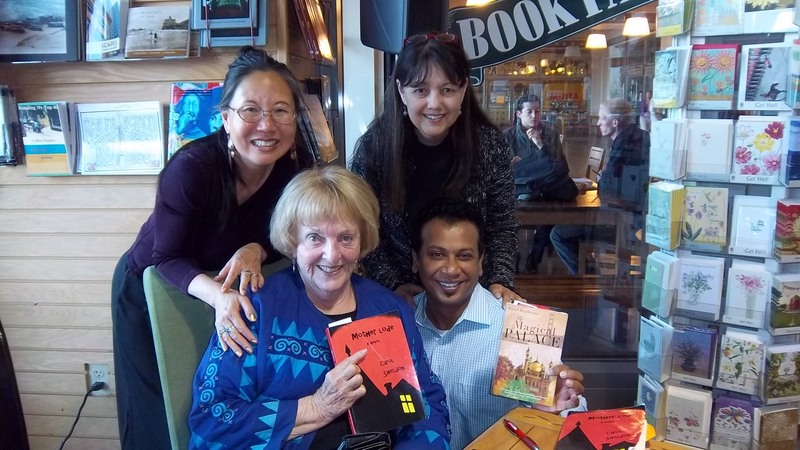 Teresa and fans at my reading in SF. She is a writer herself, as well as being a writer’s coach, and definitely my cheerleader. The evening was a joyful one. I suddenly find myself on overload–not really a bad place to be, but my head is turned in so many directions! My play On With The Wind was chosen for the Marin Fall Fringe Festival. I am revising it, and will be directing this comedy. As some of you know I’m writing a sequel to MOTHER LODE, and also downsizing a children’s book from 40 pages to picture book size! That’s turned out to be huge, as it involves so much of what writers call ‘killing your children.’ BTW, if you’re looking for an illustrator try guru.com. You can list your proposal and the quotes will pour in. Quite exciting.Then there are a couple of contests I need to get going on before the deadline. This is all in addition to refurbishing my condo and making multiple trips to show it from Sausalito to Novato. Well, never a dull moment. I’d love to hear from you on this blog.